Update - extended to Saturday 28th June - Great news! 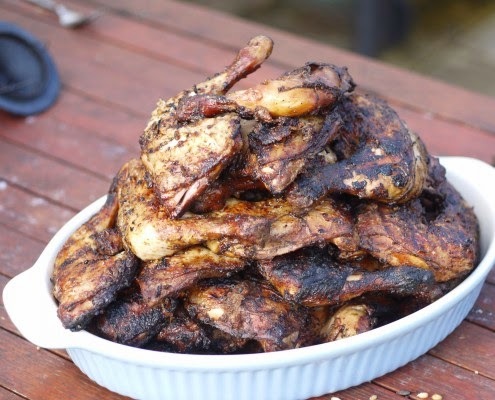 Aroma Jamaica is popping up at The Yard Theatre in Hackney Wick for dinner on Tuesday - Saturday until 14th June 28th June, with what they say is the best Jerk Chicken in town, and also other traditional Jamaican dishes. "Aroma Jamaica will be in residence at The Yard’s kitchen for the next three weeks, replicating the tropical essence of authentic Jamaican cuisine. They have been cooking finger licking dishes for all kinds of special occasions for several years, and are now excited to share their speciality Jerk Chicken with The Yard."